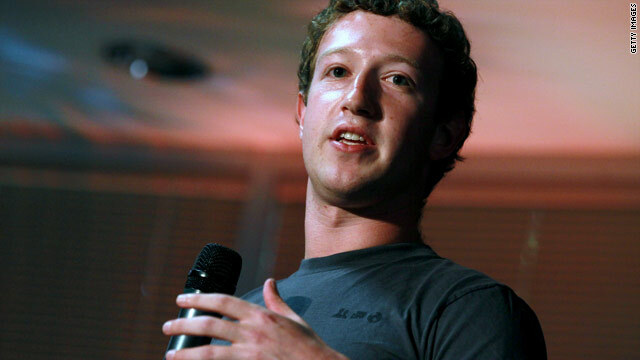 Facebook users are learning that they can't block CEO Mark Zuckerberg from viewing their profiles. (Mashable.com) -- You can't block CEO Mark Zuckerberg on Facebook. Try it. You'll get an error message that says, "General Block failed error: Block failed." We don't know whether it's a bug or an intentional inside joke, but Facebook's developers have created jokes and pranks in the past, so we wouldn't put it past them. Of course, we're also not sure why you'd want to block him; it's not likely that he's spamming your wall with unwanted FarmVille invitations. Maybe you'll want to block Zuckerberg after you see the fictionalization of his early years at Facebook in the upcoming movie "The Social Network" just for the principle of the thing. Or maybe you'll just laugh a little at this easter egg or bug and move on with your life.